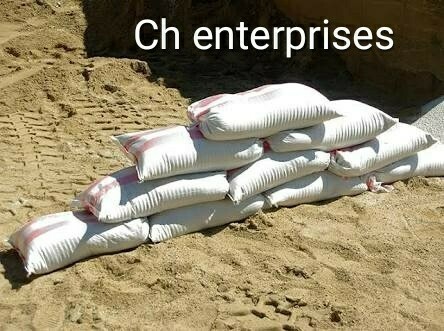 Established in the year 2002, we, 'CH Enterprises', are involved in trading and supplying an impeccable gamut of Used Plastic Bags Stock Clearance, Packaging, Polypropylene, Non-Woven, Scrap Bags and Plastic Bags. Ourrange includes Used and Rejected Sugar Bags, Sand Bags, Jumbo Bags, Wheat & Fertilizer Bags and BOPP, HDPE & PP Woven Bags. Along with this, we offer Used Non Woven Shopping Bags, Used Handle & Carry Bags, Used Seed Bags, Used Flour Bags, Leno Bag, Jute Bags, Paper Bags, Polythene Plastic Bags, Plastic Cement Bags, Scrap Bags and Plastic Carry Bags. We are offering a wide collection of scrap bags as these are available with us at very convenient price. We get these rejected plastic bags from the reputed buyers those who do contract manufacturing but if the contract is not fulfilled then we buy these bags from them at very reasonable price & avail to our client. The entire product-line is manufactured using premium quality requisite raw material such as jute and plastic at our vendors' end. Furthermore, these products are developed while keeping in the mind the well-defined quality parameters of the industry. Apart from the above, these bags are available with us in different colours, shapes and sizes, so as to cater to divergent demands of the clients. The offered products are extensively availed by many departmental & garment stores, vegetable shops and many more. These products have gained popularity among our clients for their remarkable traits such as environment friendliness, high tensile strength and durability.